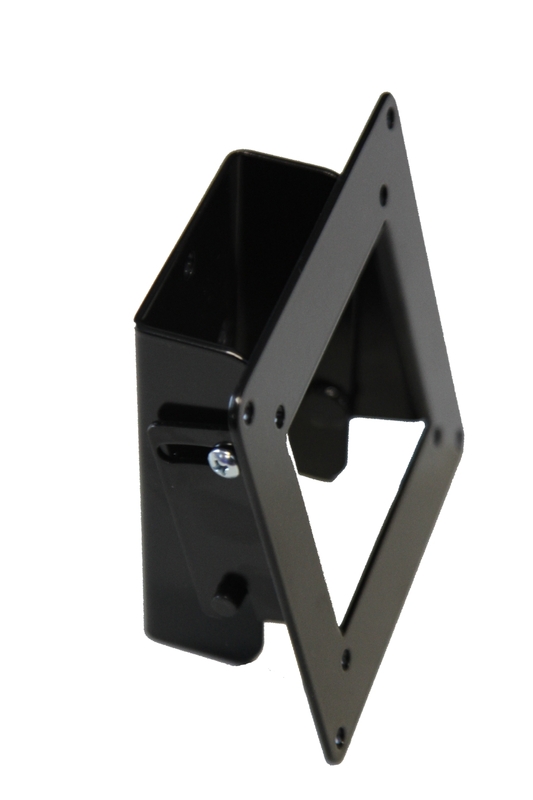 Designed to be Ultra Light Weight, Small and Strong. 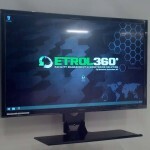 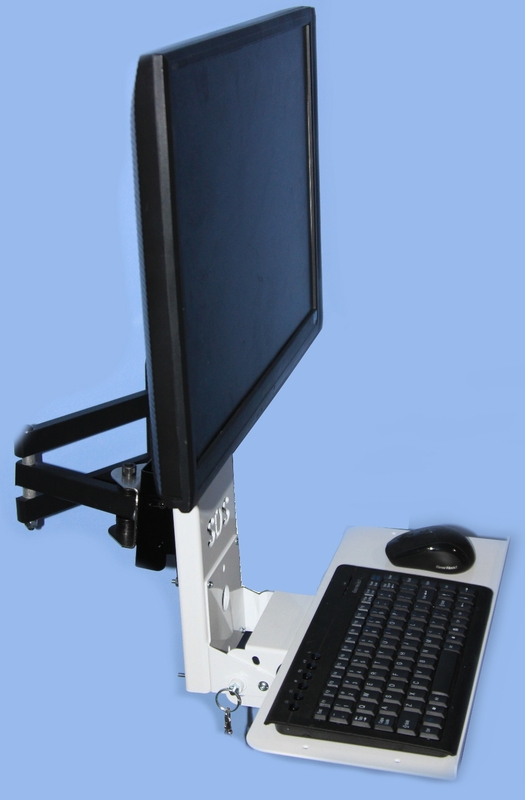 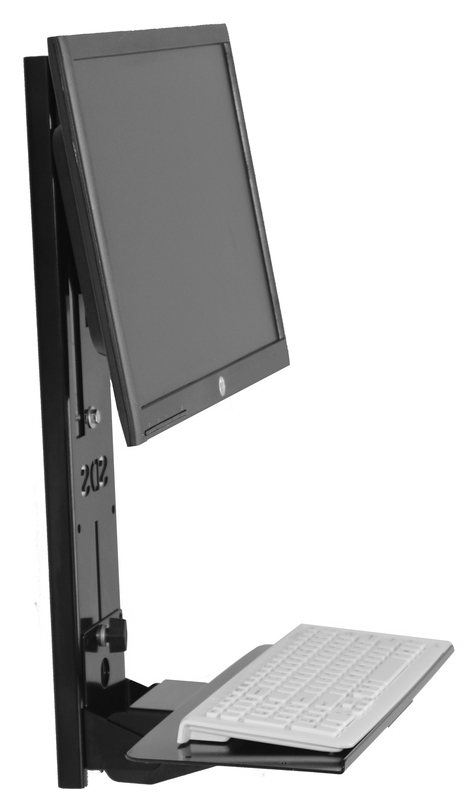 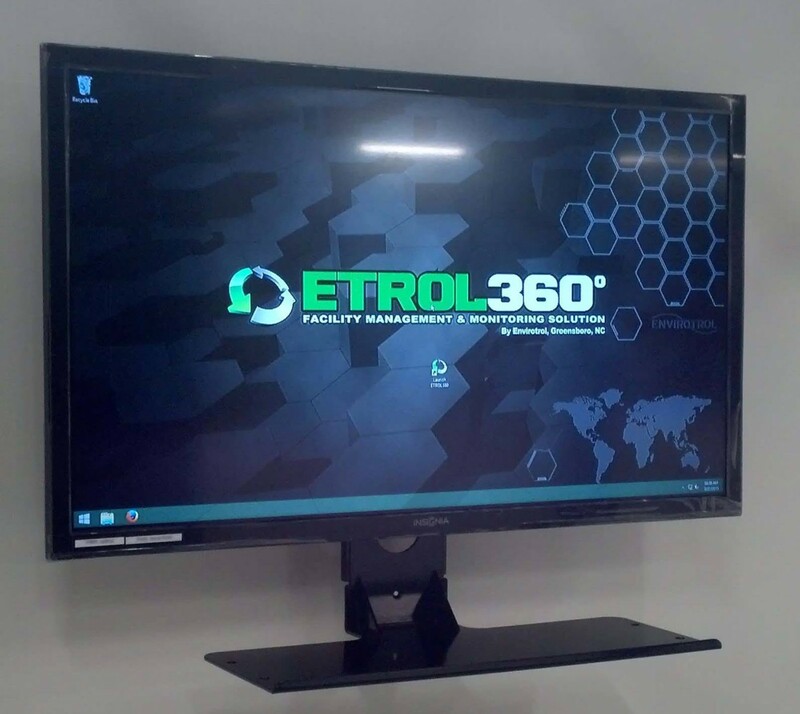 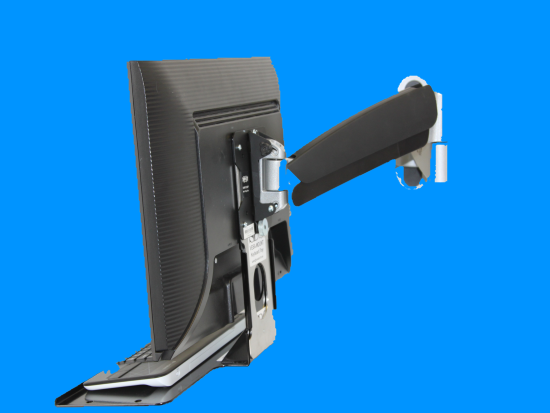 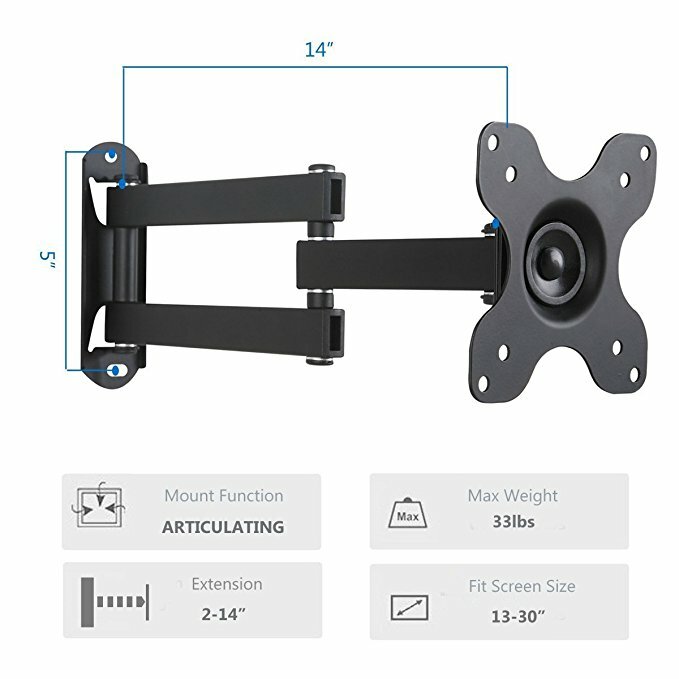 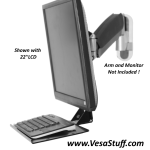 This Item will not overload your articulating arm brackets: Requires some type of mounting (wall, arm, ceiling or desk) sold separately. 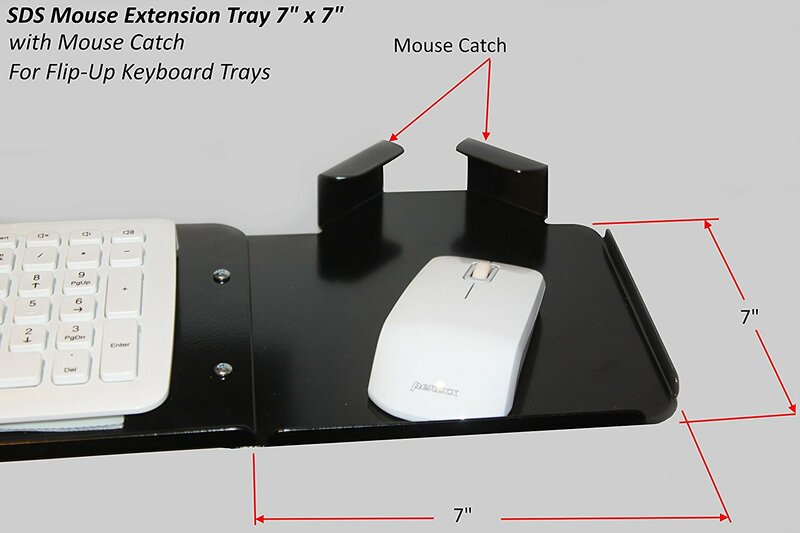 Lightweight (2.2 lbs) ultra-strong design. 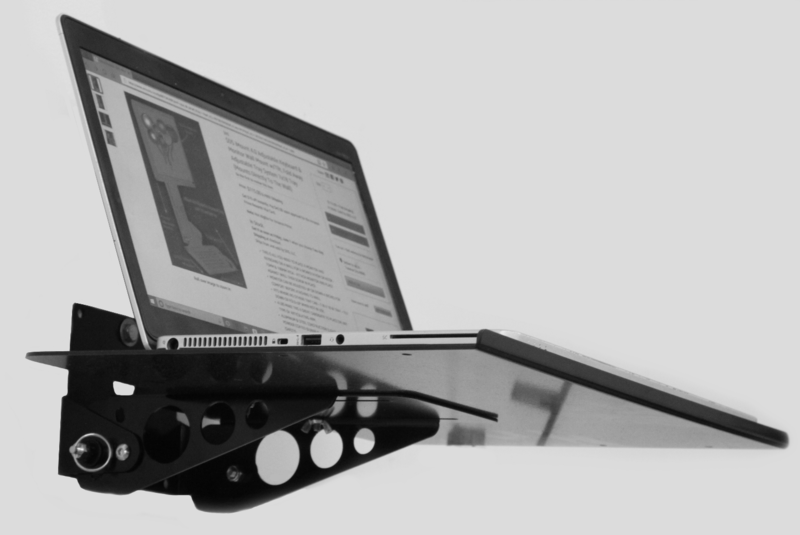 A totally versatile VESA keyboard tray. 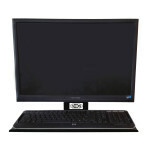 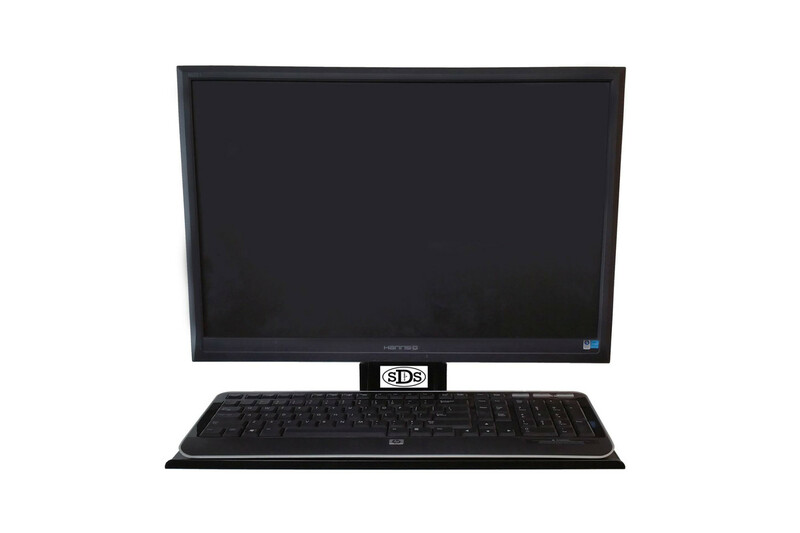 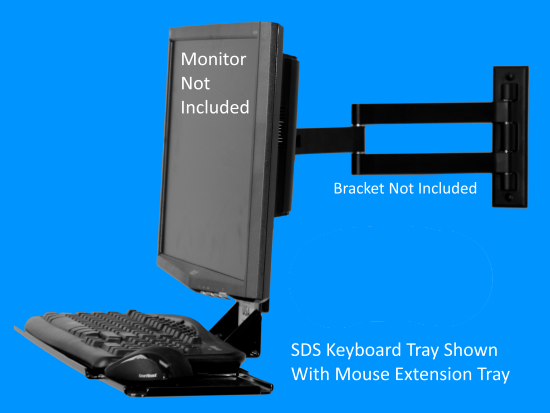 The SDS iMount 2.0 will accommodate most mini keyboards and mice. 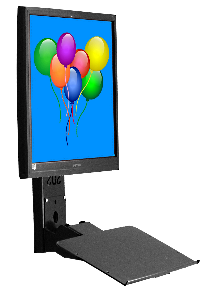 Special colors available upon request. 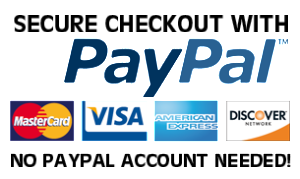 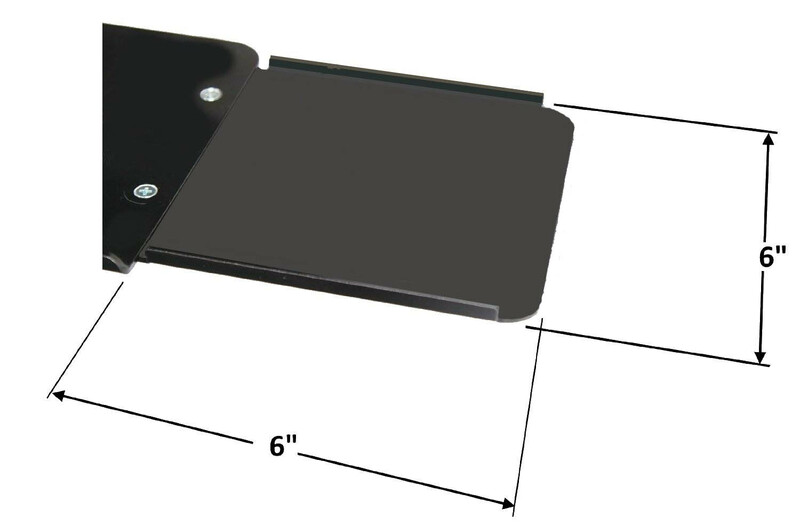 Will add 4 weeks delivery time. 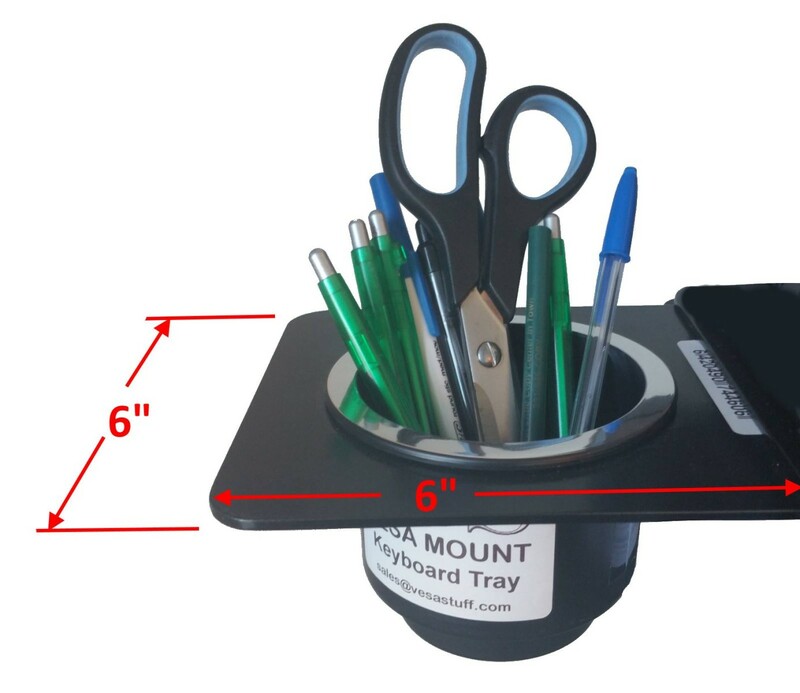 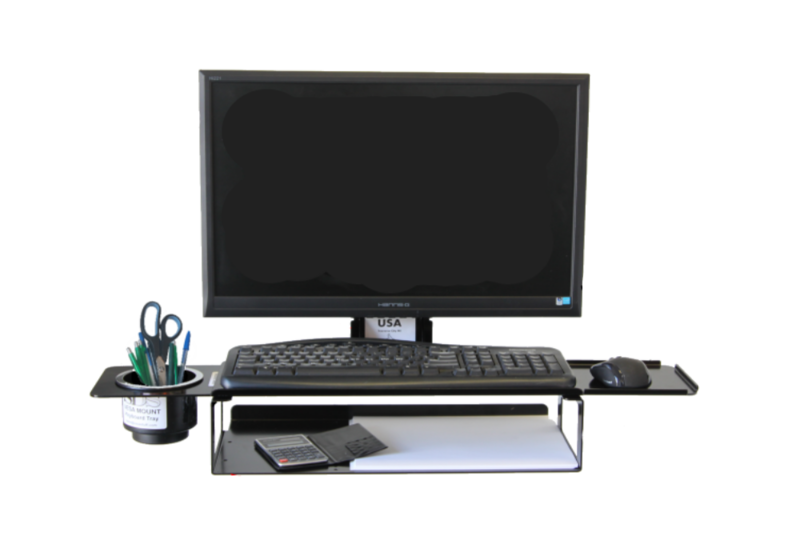 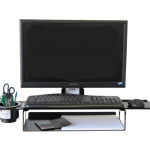 Expandable design allows you to add on many optional accessories like; Mouse Extension Tray, Cup Holder (for pens/pencils/phones or drinks), Lower Utility Tray for storing sheets of paper, notebooks, tablet or phone storage or whatever you want. 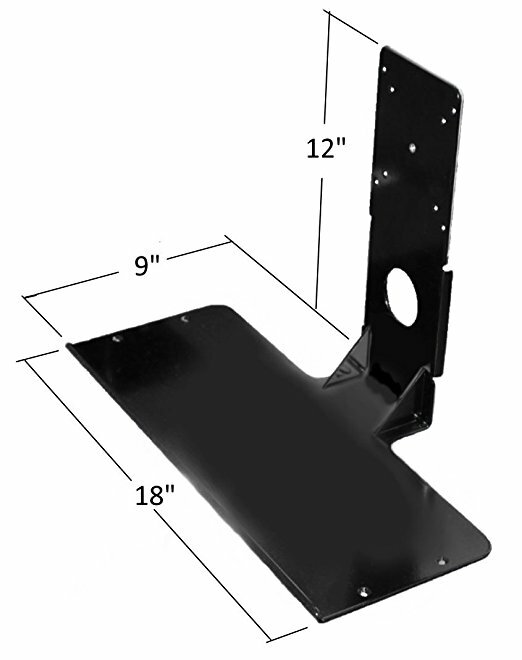 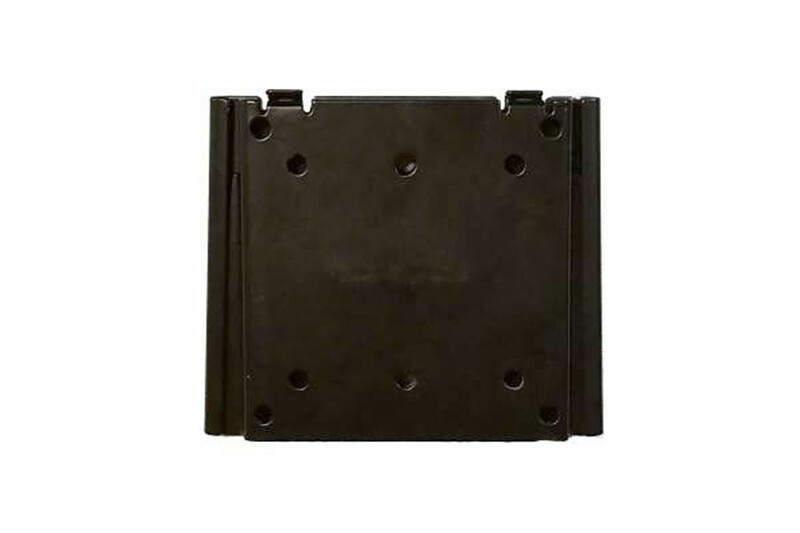 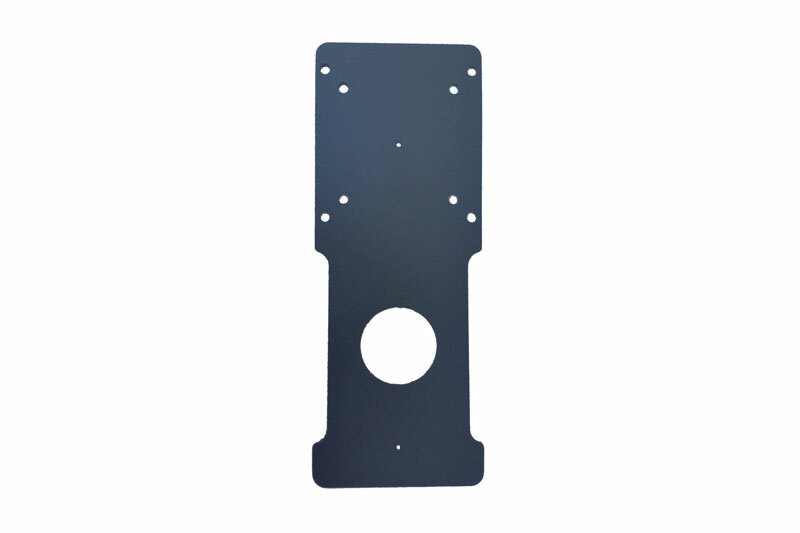 If you’re using an arm mount bracket, it is recommended to use the SDS Stiffener Plate to remove unwanted bounce from the tray. 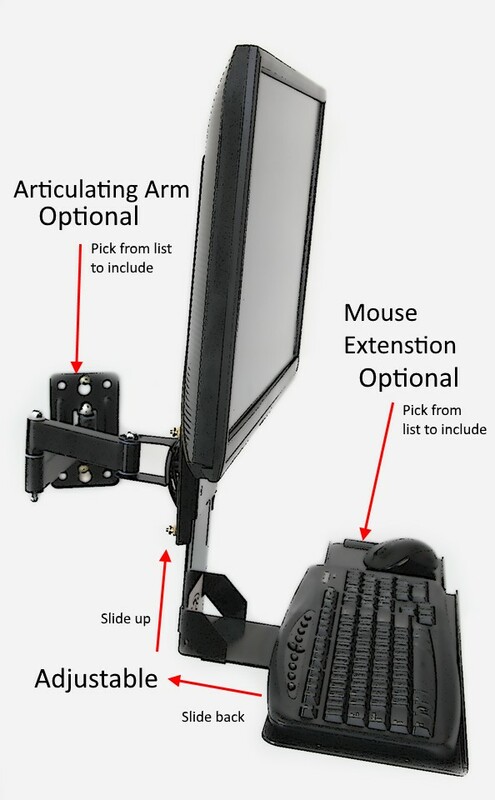 Although this will not remove bounce or movement for the arm bracket. 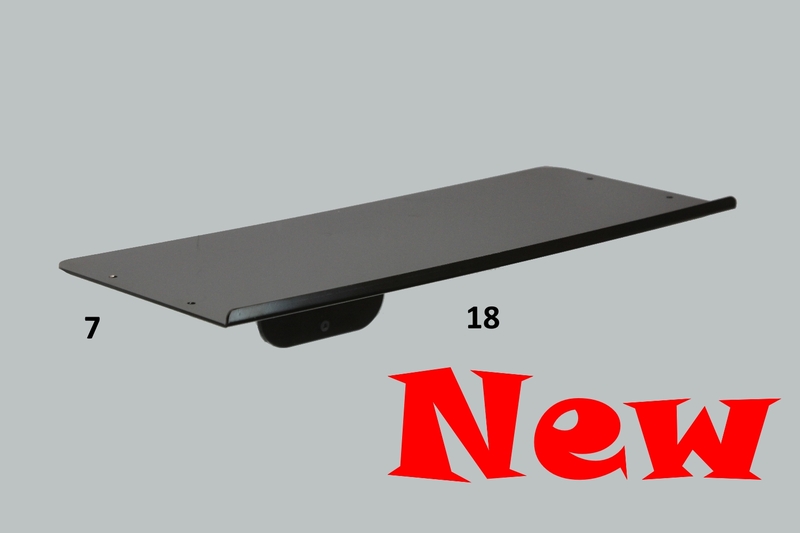 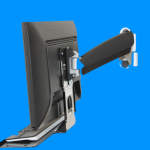 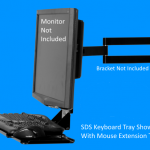 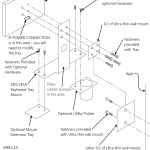 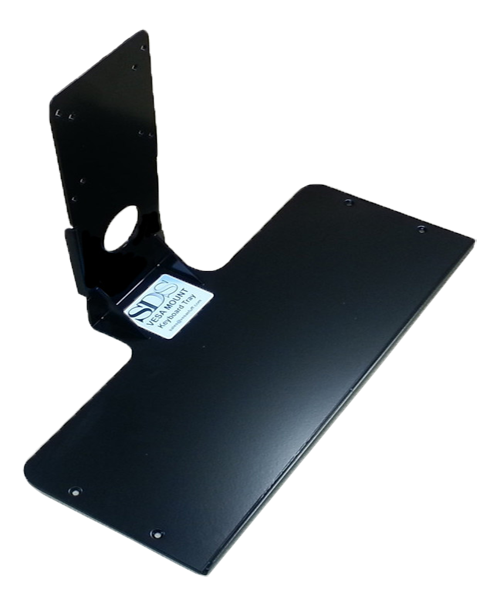 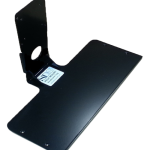 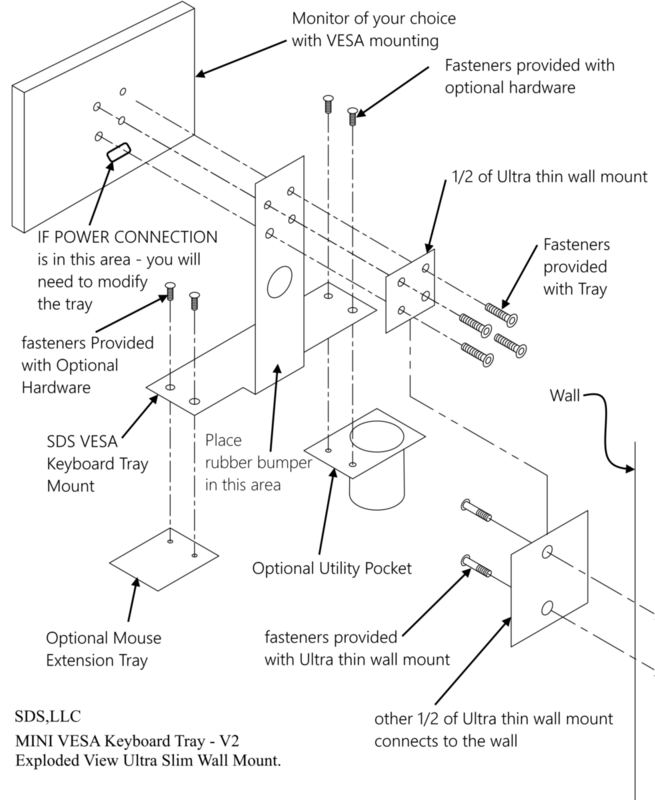 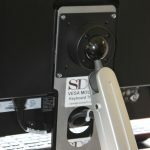 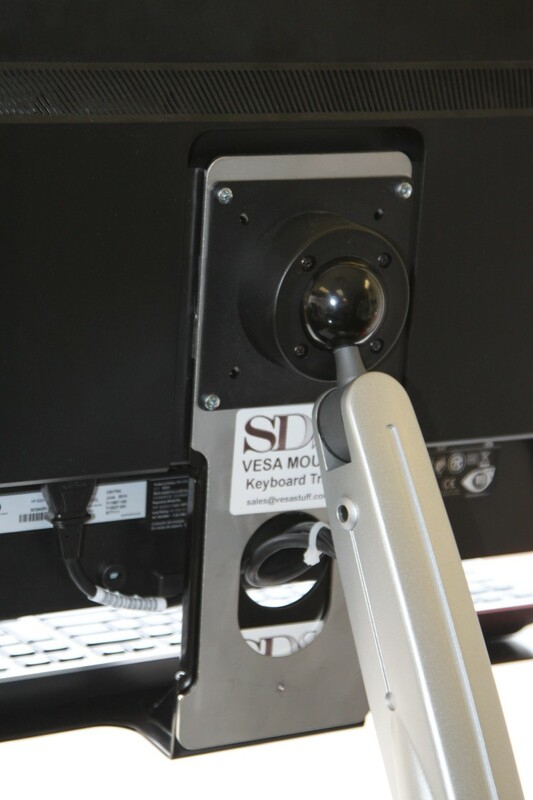 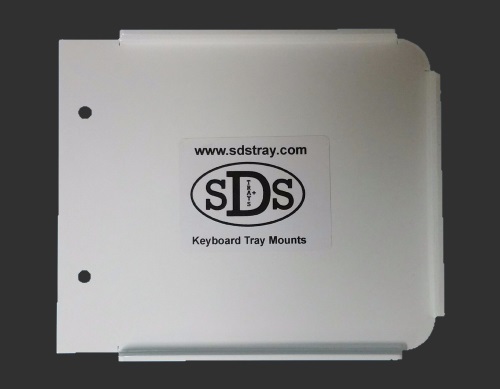 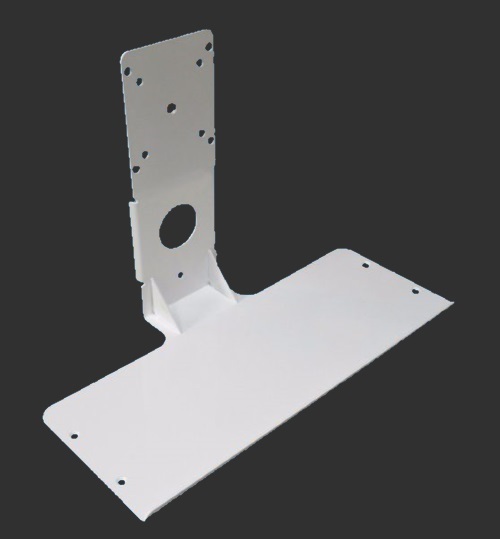 If you are mounting the SDS Keyboard Tray directly to the wall with a ultra slim wall mounting bracket you do not need the SDS stiffener Plate to remove bounce. 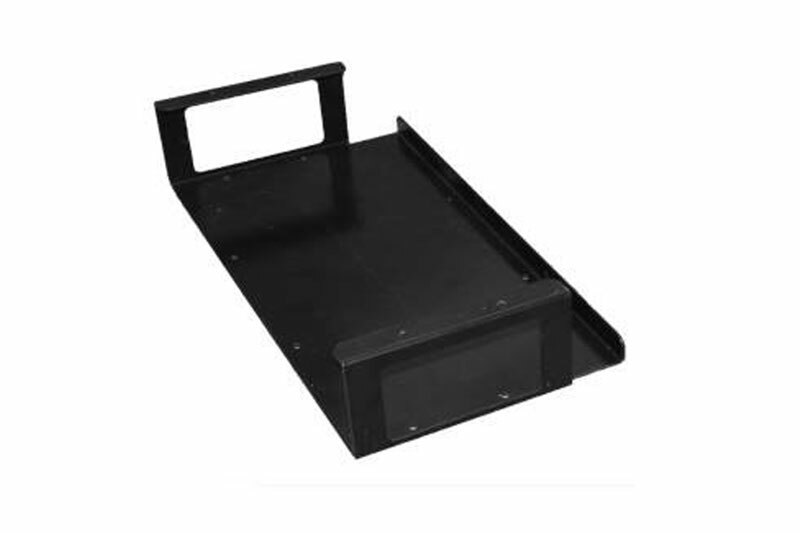 You can use 3/4 inch rubber bumpers to place between the tray and the wall and completely remove all movement.